Last Sunday you tweeted: "Heading to Korea soon, don't think I've ever felt this motivated to improve." How has your stay been so far? Are the games actually quite different, or is it mostly about the energy from practicing in a new, focused environment? Stixxay: "I've been playing around 15 hours a day since I got here. Being in a new environment helps too, I guess, but things are actually different, too. It's great that all the best pros from around the world are all playing here, and it's just really fun to play the game all the time [because] the players are, like, really good. Games are a lot more fast-paced here." Do you share the sentiment, or are you now too accustomed to playing on the Korean server? Aphromoo: "I would say [that] after MSI, I learned a lot about the foreign teams and how they play in scrims over there - SKT, RNG - and I would say [practice] is a lot more strict and more productive in those environments. Coming to Korea, it's the exact same thing, so it's like being at an international event when I come to Korea. But I would say mostly my favorite part about Korea is the food, mainly. 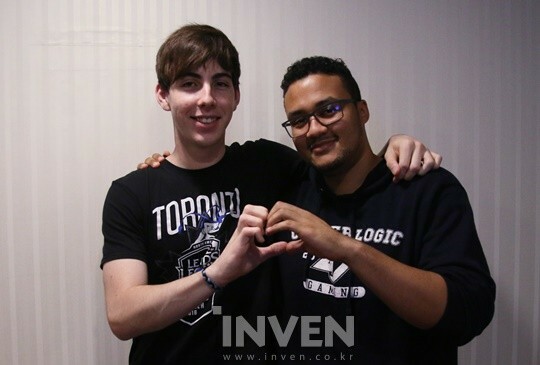 Other than that, I'm used to this whole type of thing - I've been to Korea three times already, so I'm pretty used to it - but our younger players and newer players, they're here for their first time, so it's pretty cool." Many Korean fans still remember CLG's amazing MSI run. What are your expectations for this Worlds, or is it too early to say? Aphromoo: "Expectations going into Worlds. Obviously, everybody wants to win the whole thing, so we want to win the whole thing as well. That's the bottom line. And to get there, mainly I'm focused on the process more than the end result. 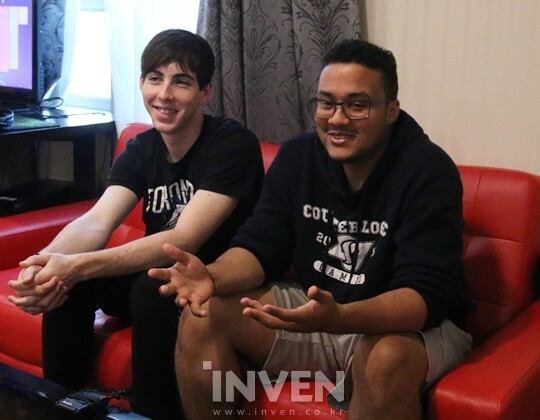 Most people say the same thing, pretty cliche, but here in the bootcamp, we're here to iron out and weed out all our problems, whether it be people getting mad at each other, et cetera, stuff like that, but we're just here to improve, and we're looking forward to what this bootcamp is going to bring for us." Similar thoughts? Are you here to win the whole thing, and do you think you have a pretty good chance at it? Stixxay: "[For me], going to this Worlds [feels] similar [to] when we went to MSI as kind of the underdogs. In the back of my mind, I thought we would have a really good showing, and I was not really too surprised at how well we did. I feel like Worlds will be the same." Koreans are very much aware of the longtime CLG-TSM rivalry. The general sentiment here is that Summer 2016 TSM is one of the strongest teams that the West has ever produced; do you think CLG can perform better than TSM at Worlds? Or would a lot of it come down to group draw luck? Aphromoo: "TSM going into Worlds - I think they're going to do really well; they definitely came together as their new roster in just a couple of months with their new staff, and I thought they did really well with that. They have a great foundation to go really far [at Worlds]. But I'm not really looking to show that we're better than TSM, I'm just looking to show that we're better than everybody playing at Worlds. And that's what everyone should be there for - to win and prove that you're the best." Because Korean fans love drama as well, I was asked to do a standard, hackneyed Doublelift question... but instead, I'll ask my own. Are you now sick and tired of Doublelift questions? Would it be nice if everyone just let the dead horse be? Aphromoo: [laughs] "Doublelift questions in general, they're fine... [but] usually, when most people ask them, they're just, off-the-wall random. So I get, like, at MSI, we were doing an interview right after a game, and then someone asked me what I wanted to say to Doublelift. And I'm, like, what? [laughs] Usually, when it has no relevance, which [is most of the time], it does get a little tiring. And I'm sure [Doublelift]'s tired of it too. We're cool." You probably remember SKT T1 Wolf praising you after MSI, mentioning how he was inspired by some of the picks and plays you made. Are you prepared to teach Korean supports a thing or two again? Aphromoo: "Coming into the Worlds, the support meta... I think everyone has it figured out by now. There are [so many] champions to pick right now. Ranged supports [were new] at MSI, but Worlds, I expect everyone to have a plethora of champions to play, and not just melee supports like we saw last Worlds. I don't really know if there's too much to pick up on, as I think that this Worlds especially is going to be a team-based game, and [teams with] excellent teamplay are going to be a rock, [such as] TSM and G2. It's all going to be based on that, and we probably will see a [huge variety of picks] in each and every role." It feels like Aphromoo's the seasoned veteran who has seen enough to not dream too high or low, and you're the eager newcomer, optimistic of your chances against anyone. Last time CLG faced SKT, CLG lost 3-0. How will you fare if you were to meet them again? Will CLG's bottom lane duo be able to overpower Bang & Wolf? Stixxay: "I'm not really sure what would happen if we meet SKT again. Right now, they're probably the stronger team, but we'll have to see at the end of our bootcamp how much we've improved. Me and Aphro can match up versus anyone in a 2v2, [although] we don't really look at the 2v2 [in a vacuum] - it's a team game. Typically, if you play super aggressive in a 2v2, that's only because your jungler is nearby or because there's [another] fight going on across the map. So it's less about the [pure] 2v2 and more about champion matchups. It's always fun to play against Bang and Wolf, though." ex-CLG coach MonteCristo has been openly critical of your play for the past half year or so, arguing that you are not a "bad" ADC but is overrated by most fans by virtue of CLG's ADC-centric strategies. Do you agree with this assessment, and how much do you really care about the "Stixxay is overrated" debate? Stixxay: "People say I'm overrated, but it depends. At times, yeah - at MSI, people overrated me a lot; they gave me a lot more credit than what should've been given, [as] it was more of my team playing well around me. When I first started playing, I cared a lot more than I do now, [but now] I don't really care that much about outside criticism. I'm just a player that has really high highs, and sometimes 'high' lows." CLG was arguably the best team in North America in terms of playing the map and dealing with laneswaps, but the recent changes to the game took that away to some extent. Are you in a better place now compared to right when the patch hit? Will you adapt in time to the meta that will be manifest at Worlds? Aphromoo: "The new meta that's coming out - we're going to be able to adapt to it very well. Now that swaps are gone - what we used to like to do when swaps were in play was that [we] could start the game with laneswaps, and move so much around the map that the enemy team [wouldn't] really know what to do. We practiced that over and over and over until we just had in the back of our minds every situation that could happen [in the laneswap]. Now it's just straight-up standard lanes no matter what. It's a lot more tougher, because if you pick into a really weak matchup, your teammates have to compensate with either your jungler or your midlaner coming down, [whereas] you used to be able to dodge it. But everyone has to adapt, and CLG is not going to be an exception to that." This may be a sensitive question, but here goes: many fans have said CLG's solo laners are weaker than CLG's bottom lane or jungler. Do you agree with this assessment, and would you be willing to substantiate? Aphromoo: "CLG's solo laners, compared to jungle and bottom lane... people have said our strengths are lopsided, the solo laners [aren't that strong]... I think it just has to do with the new meta. Laneswaps made it really easy to get our solo laners ahead, and then they could just run with it for the entire game. Now that we have to play standard and spread the love across the entire map... it's very hard for a team to go through [this] type of patch, because everyone wants to be acknowledged, to get the jungle gank to go through their lane, to receive any help in some way, or to just get a good matchup. So it all comes down to the draft, and everyone has to give and take. We're still figuring that out as a team. The people that blind pick [into their matchup] or take the bullet for us - usually it's our solo laners because they can play any champion. But they are the people who get countered the most because of that. We usually picked for a stronger bottom lane or stronger jungle matchup in LCS, but we're [still] adapting to the new patch and definitely have learned a lot because of it. Our solo laners definitely took a hit and faltered [because] of how we play." I'm sure you guys have watched CoreJJ qualify for Worlds through the gauntlet with Samsung. Do you remember playing against Dignitas CoreJJ? Anything to say to him? Aphromoo: "Well, when CoreJJ was on Dignitas, I don't remember any- (laughs) nah, I don't remember that much playing against him. But I'm happy for him. I actually met him in solo queue when we got here, in the first couple of days, and said hi. And he definitely plays a lot better as support than as AD carry. That was surprising." I'm sure a lot of fans back home - and across the world - would want to hear some fighting words from the team. Any special messages for your fans? Aphromoo: "Fighting words? What are fighting words. 'This is war'?" Aphromoo: [laughs] "Yeah, you got this, dude. Go on." Stixxay: "Well, we're doing our best to improve. I think this is probably the hardest I've tried, and hopefully our bootcamp [will] continue to go well [so that] we can do better at Worlds." Aphromoo: "Sure sounded like fighting words." Thank you so much for your time. Any sponsor shoutouts before we switch the camera off? Aphromoo: "Shoutouts to Astro, DXRacer, twitch.tv and iBUYPOWER." I guess we can do one or two more "fun" questions while our technician packs his gear. You said your favorite part of Korea was the food - what about Korean food appeals to you? Aphromoo: "Everything, man, everything. The soup. Every other place sells soup of some kind and I just order it without knowing what's inside since I can't read Korean. You never know what you're going to get, and they seem to make soup out of literally everything, but they're all good, so it's great. Even the weirder ones, like the one we had the other day with squid." Stixxay: "The food here is pretty nice. The soup is okay, too. But I didn't like the squid one." Aphromoo: "And the garlic. The Korean restaurants in California give you sliced garlic, too, but in small pinches. Here, they give you a heap. We go to a barbecue place where they give you a basket full of different greens. So I take a leaf, lay on the meat, and then the garlic... damn. I'm all over that garlic, man." You, sir, have good taste. Well, the camera isn't rolling. Was that an off-the-record statement? Aphromoo: "Absolutely not, add it in. Especially the girls part. Don't forget, I'm going to check!"